Welcome to the Fall Foliage and Festival Report for the weekend of Nov. 17 and 18, brought to you by the Maryland Department of Natural Resources. 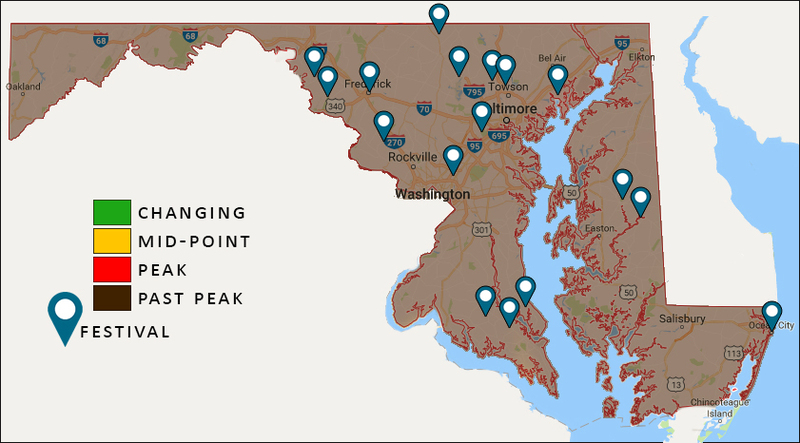 Thanks to back-to-back rain and wind storms with more on the way this weekend, there remain few isolated spots of color left, but “past peak” sums up Maryland’s autumnal show for the season as temperatures drop faster than the leaves. As for leaf peeping, we will be back in 2019, with what we hope will be a decidedly more colorful series of weekly reports. The Middletown and Pleasant Valley areas in Washington and Frederick counties are home to a wealth of professional artisans. Currently there are 16 fine artists and craftspeople celebrating “Handmade” in Gapland this weekend during the Valley Craft Network Studio Tour. During the free tour, stop by their studios and showrooms for an up-close look at the creative process. Nothing brings back the yuletide spirit quite like the Maryland Christmas Show in historic Frederick. Visitors from near and far will discover the joys of shopping at Maryland’s premier Christmas event now in its 34th year. On Saturday enjoy a German-style Christkindlmarkt at Union Mills in Carroll County. Frohe Weihnachten! Hosted by the Baltimore American Indian Center, the 44th Annual Powwow will include Native American dancing, drumming, music, cultural presentations as well as jewelry, artwork, crafts, clothing and food. Don’t miss the “Grand Entry” at noon and again at 4 p.m. Saturday at the Maryland State Fairgrounds in Lutherville-Timonium. Also nearby, find out what’s left after all the mass migration of summer songbirds and bloom flowers. Birds like the Northern Junco and White-throated sparrow have arrived at Oregon Ridge Park as well as interesting seed pods and animal signs. 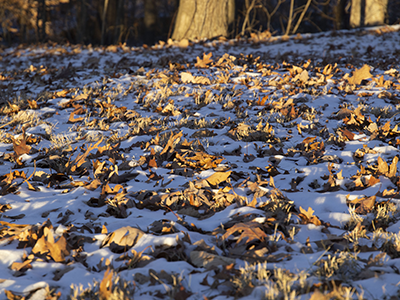 Hike the changing habitats during “Falling Behind” this weekend. Bring your little explorer (ages 0 to 4) for an interactive program all about trees at Soldiers Delight Natural Environment Area Sunday at 10:30 a.m. and Hug a Tree together. A guided story book presentation, music and movement songs, a short hike to look at different trees. It’s never too early to learn to appreciate our natural resources! Science has shown that practicing gratitude increases happiness. In this season of Thanksgiving, join a Gratitude Hike at Anita C. Leight Estuary Center in Harford County. Stroll through the woods Saturday morning with a naturalist as your guide, drawing on the calming beauty of nature to allow you to focus on all things for which you are grateful. This free program is geared toward adults. Join Patapsco Valley State Park staff Saturday for a leisurely two-mile Nature Observation Hike along the moderate terrain of the Santee Branch trail. Learn how scientists search for clues and conduct wildlife research. On Saturday afternoon you could also catch up with Ranger Erik in the Seneca Creek State Park for a two-mile moderate Waring Viaduct Hike to the historic railroad bridge. Learn the role of the railroad in Montgomery County and how it still carries people today. 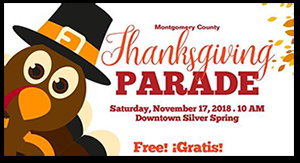 The streets in Silver Spring are being overrun with turkeys, dinosaurs, penguins and reindeer 10 a.m. Saturday. No, the zoo hasn’t opened their gates – it is the Montgomery County Thanksgiving Parade! With marching bands, Bolivian dancing groups, floats, giant characters and balloons and Santa, this is the only Thanksgiving Parade in the metropolitan area. This Saturday morning spend the day admiring dozens of stunning handmade Amish quilts and other hand-stitched items at a traditional Amish Quilt Auction in Mechanicsville. On Sunday the very popular Annual Fall Craft Fair in Hollywood will take place at the town’s fire department. Calvert County’s Jefferson Patterson Park & Museum in St. Leonard hosts a Hide Tanning Workshop Saturday. With a little knowledge and a lot of elbow grease, deer skins can be transformed into supple buckskins. Learn how Native Americans made buckskin and get a hands-on chance to use both native and modern tools. The Eastern Shore is a great area to visit this weekend. 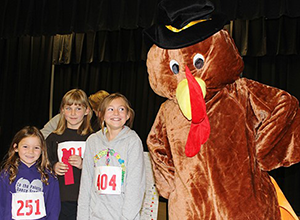 On Saturday the annual Denton Turkey Trot kicks off at 8 a.m. with a 2-mile walk, run or jog from Denton Elementary to Martinak State Park and back! 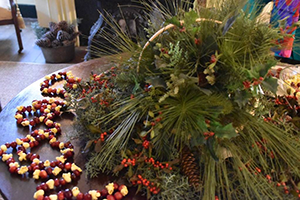 You can also get your holiday shopping started at the Harvest Thyme Craft in Parsonburg, which features crafts from local artisans and crafters. Then head down to Ocean City for the Light Up Downtown Winter Festival starting at 3 p.m. on the Boardwalk at the Inlet. This is a free event for the entire family as Ocean City gets dolled up for the holidays with live music, tree lighting, kids’ crafts, games and prizes, shopping options and Santa. Also this weekend the Winterfest of Lights begins at 125th Street (bayside). The one-mile journey takes you through 58 acres of lights and features a 50-foot Christmas tree. Sip hot chocolate in the heated Winterfest Village pavilion, take a photo with Santa and board the Winterfest Express to tour exhibits. 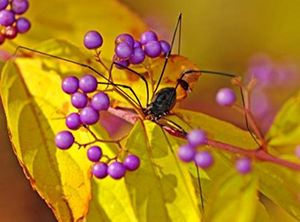 For more information or to see a full listing of Maryland Department of Natural Resources events, meetings and programs, please check out the online calendar. Enjoy your weekend, Maryland! As always, if you would like to share photos of your autumn adventures, please send them our way!